Anywho, today's post is about the outfit I wore to a BBQ this past weekend. Y'all know I LOVE bright colors, so I decided to do a neutral outfit to mix it up a bit. 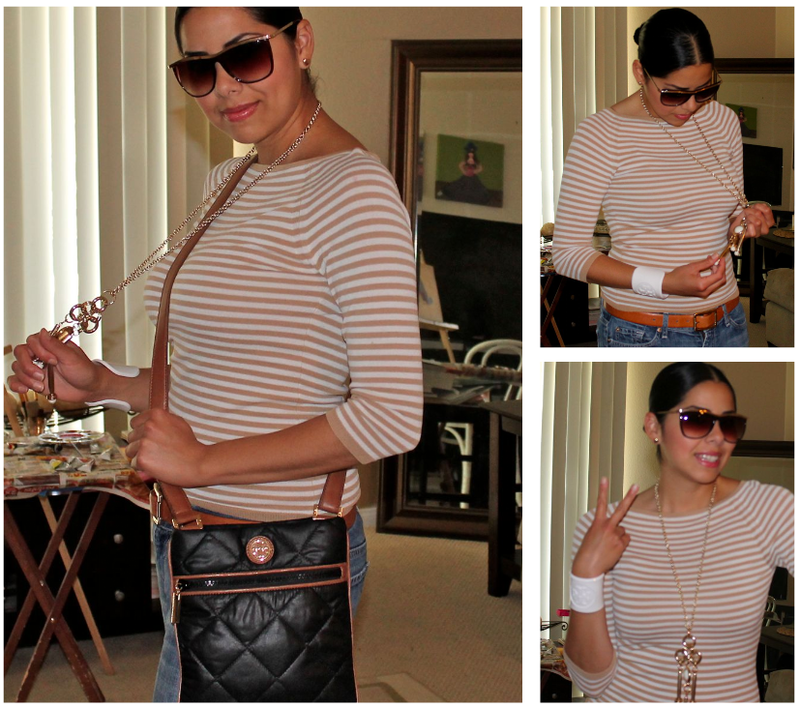 I rarely do neutrals but when I do I like to add chunky gold jewelry or a statement piece. 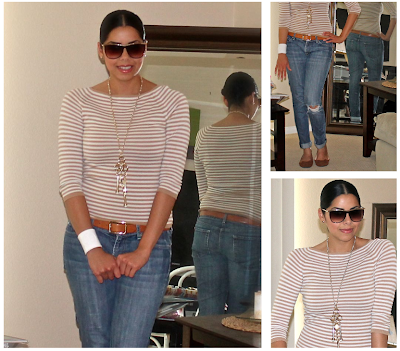 In this case I added an H&M gold and white chain necklace that I had worn to the pool not long ago. I hope you all have a great Friday!! You look great! Like the rolled up jeans! I love your jeans! I've been looking for a pair similar! what a great outfit...glad I ran across your blog! you look so good! i fall in love with your sunglasses! great outfit ! amazing blog ! The outfit is really cute, so Is your blog. Maybe you want to follow each other? Your outfit is gorgeous!I love your blog,I am your new follower! you look so lovely! great sunnies. Paulina, me encanta tu estilo!!!!. Adoro los collares largos. Me gusta mucho el recogido del cabello!! Simple and chic outfit, I like it ! Thank you for the comment. Just followed you. Follow back? I really enjoyed your blog I'm following you and on twitter I hope you also like my page.